I returned to Warsaw from London and my researches early on Friday especially to experience a musical soul whom I consider to be the greatest living pianist. Each recital promises to be a profound musical experience and a new adventure into interpretative recreation possible at the instrument. I first heard Sokolov in 1993 playing the Op. 25 Chopin Etudes in the small concert room in the atelier of the Chopin Museum in Warsaw, a room sadly no longer in use for this purpose. 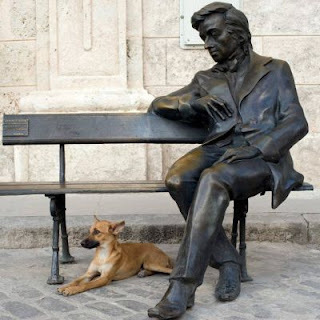 He was a legend in the Chopin Society even then, his very name breathed with reverence and awe. It was a shattering musical encounter I have never forgotten. I would cross great oceans in a twinkling to hear him perform. 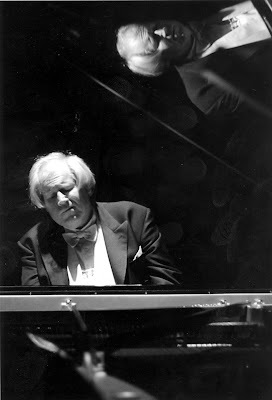 Sokolov is that rare species, a pianist at home with the entire Classical and Romantic repertoire but also attracted to music originally written for the harpsichord - composers such as Froberger, Bach, Francois Couperin and Rameau. His astounding technique, variety of articulation, dynamic range and felt depth of emotion make his interpretations or rather recreations of this music, deeply convincing despite 'purist objections' to the contrary. Another sound and spiritual dimension opens before one. He began his recital with the extensive Suite in D Minor by Rameau of 1724. Baroque ornamentation and performance practice, so important in these works, in particular the ubiquitous trills, are exceedingly difficult technically to bring off convincingly on a modern concert Steinway. Such ornaments must remain part of the melodic line rather than become unsightly accretions plastered onto the decorative scheme or insistent doorbells ringing unanswered. This is a formidable task as the keys of the modern pianoforte are so heavy compared to a featherlight harpsichord and control of the dynamic and velocity is thus so problematical. They bear no relation to Beethoven's extended trills. However Sokolov's glittering technique and enormous variety of staccato and legato made his performance of the suite an absolute tour de force. A unique light was shone on Rameau's sound world, a domain on the piano that became more solid but in some ways less plaintive, vulnerable or yearning than when performed with the resonant complex colours, eighteenth century associations and terraced dynamics of the harpsichord. The piano to my mind acts upon the blood, the harpsichord upon the nervous system. Of course the more bucolic elements of Rameau, the peasant roughness of the hurdy-gurdy, dance and the astringent rustic 'garlic' possible on the harpsichord were lost but an unaccustomed expressive range of 'romantic' even feminine sentiment were surprisingly revealed. What a challenge Sokolov set himself here and how he managed it with such superb panache and virtuosity. He then played the Mozart Sonata in A Minor KV 310 of 1778. I must admit to not being convinced by this account and felt it could have been performed with less weight, more refinement at a significantly lower dynamic. 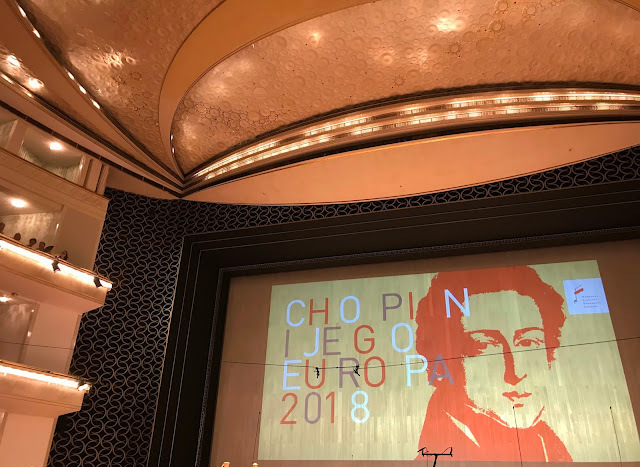 I felt it lacked elegance, clouded humour and the light-weight elan, even on occasion affectation that makes Mozart so seductive and a perfect expression of the eighteenth century galant style. Mozart is not Beethoven although both are lumped together as 'Classical' composers. Perhaps I have heard too much Mozart on elegant Graf, Walter and Stein fortepianos. I feel the Mozart piano sonatas and the concerti benefit from that particular feeling of tension that arises from the restraint of passion and the indication of darkness rather than a bald statement of tragedy or joy. Of course I had ringing in my ears the refined Mozart of the 'classical' rather emotionally cool Alfred Brendel, or Walter Giseking, Annie Fischer, Radu Lupu or the young Barenboim - all masters for me of the Mozartian style. All these interpretative judgements are very personal....everyone has their own view of Mozart. He was considered trivial by serious and worthy musicians as recently as the 1930s and even later. He opened with the Variations and Fugue on a Theme of Handel Op. 24 0f 1861. Some time ago I learnt that Brahms had actually edited a complete edition of the music of Francois Couperin which astounded me - could two composers be less alike? But Brahms was attracted, like many composers of the period, to what they termed 'antique music'. Accuse me of hyperbole if you will, I am seldom prey to this failing, but if you were not there you cannot charge me with being prey to it. What a tragedy that a mindless and philistine bureaucracy has deprived English audiences of hearing this uniquely powerful musical voice and absorbing into their hearts his exalted musical spirit. (As a Russian citizen I believe he refuses to be fingerprinted for a visitor's visa required for him to perform in Britain. The bone-headed authorities will make no exceptions even for this musical genius).